Includes 16200 miles over the term of the short term van lease. Non-Status, Expats, UK Visitors and new business start-ups are welcomed on this Renault Trafic Minibus LWB LL29 Energy dCi 125PS Sport Nav 9 Seater Minibus . 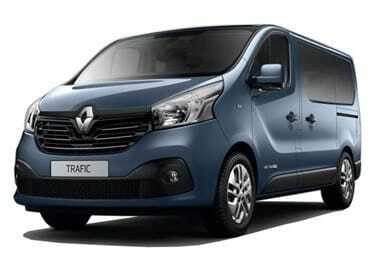 The Renault Trafic Minibus LWB LL29 Energy dCi 125PS Sport Nav 9 Seater Minibus will need to be insured by the Client.